The Hegira was the finest super-sub that Arab oil money could buy. But the U.S. Navy was only now learning just how good this undersea sword of Islam was. Already one American sub had been destroyed, and another crippled, as the Hegira broke out of the Mediterranean and headed toward America to deliver its lethal payload. 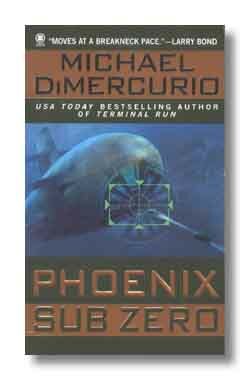 Buy Phoenix Sub Zero At Amazon.Com! Buy Phoenix Sub Zero At Amazon U.K!